The following article was published in the National Review Online . The author is frankly pro-Ukranian and anti-Soviet, which colors many of his views. His use of “projected cancer deaths” and other statistics have no basis in any medical knowledge. They are pure propaganda. (1) I’ll not apologize for Chernobyl, or any other horror performed on the Ukranians by the Soviets. Nuclear Power isn’t and wasn’t the enemy. April 26, 2011 1:15 P.M.
With the continuing earthquakes in Japan, the eventual cost of the disaster at the Fukushima power plant may not be known for years. The world should have all those affected in their prayers. But one thing we can know right now is that the Fukushima disaster and what happened at Chornobyl 25 years ago today are comparable only according to the narrow parameters of the International Nuclear and Radiological Event Scale (INES). By this scale, the Fukushima event was a Level 7, a “major accident” “with widespread health and environmental effects,” the same rating as Chornobyl. But it would be a serious mistake not to appreciate the differences between the two events, or to forget the genuine evil revealed in the Soviet Union’s response to Chornobyl. The distinctions matter. Systemic Soviet corruption started affecting Chornobyl long before that April day in 1986. The RBMK reactor had many known design flaws, including fundamental problems associated with the Soviets’ insistence on having civilian power plants also capable of making weapons-level plutonium. Due to these design flaws, the reactors were susceptible to lurching out of control, a susceptibility that was widely known — and ignored. Two additional points are worth noting here: (a) As part of the Kremlin’s intense Russification program designed to destroy Ukraine’s unique culture and history, the Ukrainian language was marginalized, pushed mostly into the shadows; and (b) because of this marginalization, in February 1986, an article in a Ukrainian-language literary magazine published in Kyiv just a few months before the disaster specifically pointed to all of the problems at Chornobyl, but because this clear warning was in Ukrainian, it was not noted at the time either in Russian-speaking Moscow or by any of the operators of the power plant, who were all ethnic Russians and Russian-speaking Ukrainians. Even in the repressive Soviet society of the time, there were brave souls who warned that Chornobyl was a disaster waiting to happen — but because the warnings appeared in forbidden Ukrainian, they were denigrated and ignored. At 1:23 a.m. on Saturday, April 26, exactly 25 years ago, a bit more than 90 miles from Kyiv (and near the city’s main water reservoir), an explosion blew the roof off Chornobyl’s fourth reactor building and, among other tragic consequences, huge quantities of radioactive particles began spewing into the air. Other than an immediate scramble by Chornobyl workers to try to put the fire out, there was no official reaction to this catastrophe — no announcement, no warnings, nothing indicating concern for the population of Ukraine, people in other areas of the Soviet Union, or anyone in the world beyond the Iron Curtain. The Communist government’s callous disregard for human life and health was not a momentary brain freeze, nor was it an accident; it was deliberate. At 9:00 a.m., Monday, April 28 — more than 55 and a half hours after the explosion — an alarm went off at the Forsmark Nuclear Power Station in Sweden; high amounts of radioactivity were being detected. Workers were evacuated. High radiation levels were simultaneously detected in Denmark, Finland, and Norway. Scandinavian experts soon determined that the incoming nuclear cloud had originated in the Soviet Union, specifically Soviet Ukraine. But when Sweden asked Moscow for an explanation, Soviet authorities denied anything had happened, even though by then radiation had been spewing for days from the explosion and resulting fire. Over the next few days, only snippets of information got out of Ukraine from the few people who were aware of what had happened and some of the consequences. Into the void of real information flowed terrifying misinformation, resulting in reports of staggering death tolls, hospitals overwhelmed by dead and suffering, and mass graves. As a result of Moscow’s irresponsible silence, people in Ukraine who wanted to know anything had to find a way to receive Voice of America, Radio Liberty, and/or Radio Free Europe broadcasts despite the extensive Soviet radio-wave-jamming facilities established in Western Ukraine. At 8 p.m. on April 28, VOA broadcast into Ukraine its first reports on the radiation that had been detected in Sweden and the suspicion that it came from nuclear leakage at a power plant in the Soviet Union. Tony Barber’s first-person account published in the Financial Times a few days ago recalls his being a 26-year-old foreign correspondent working for Reuters in Moscow. He had flown to Kyiv on Friday, April 25, to see a friend. He spent the weekend touring Kyiv in the warm spring sunshine, unaware of anything going on that might threaten him. It was only when he returned to Moscow on April 28 that a colleague asked him if he had noticed “anything funny going on,” which he hadn’t. After hearing word of a nuclear disaster in Ukraine, he had an American embassy official in Moscow test him for radioactive poisoning. His body’s background levels were normal but the jeans he had worn in Kyiv sent the Geiger counter beep-beep-beeping. There were offers of assistance and aid from, among others, the United States and American volunteer organizations. The offers were rebuffed by Moscow, with one exception. Through his longtime cozy relationship with the Kremlin, Armand Hammer was able to get American bone-marrow specialist Dr. Robert Gale invited to help the injured — in Moscow, 470 miles from Kyiv. Gale was not allowed into Ukraine. Now we show you a picture taken by a man at the Chornobyl atomic power station shortly after the accident took place. As you can see for yourself there is no enormous destruction that some Western agencies are writing about, or no great fires, as there are no thousands of dead. In fact, inhabitants of the nearby settlements have been evacuated though the level of radiation had decreased during the past day and night. So it is hardly the place for the Western mass media to spread rumors. There is no way this sequence — Kremlin silence, denial, misinformation — was the result of mistakes. This strategy was all quite calculated and deliberate and, it would appear, now almost forgotten. On the same day, April 30, CNN reported that a man in New York had been able to get through to his brother in Ukraine, a hospital worker, who said that he had seen hundreds dead and that his hospital could not handle the dead and injured. Traveling French students interviewed by CBS quoted a hospital source as saying at least 500 were dead. Though factual reports by the foreign media varied greatly, the Soviet media, completely controlled by the Kremlin, continued to say everything was fine. Perhaps the worst example of this total disregard for the truth and human lives came on May 1. Winds that had initially blown the radiation north and over the Scandinavian monitoring devices had turned and were keeping most of the increasing radiation over Ukraine, Belarus, and some areas within Russia. While this radiation continued to drop over the Ukrainian countryside, the Soviets staged their annual extravagant May Day parade in Moscow. Mikhail Gorbachev, whose leadership guided the Kremlin response, smiled and waved to the crowd in Red Square. To the south, just 90 miles from where the fires of Chornobyl were still burning out of control, the Soviets staged another massive parade in Kyiv that included children dancing down Kyiv’s broad central avenue, Khreshchatyk. Perhaps the only noticeable difference from previous May Day celebrations in Kyiv was the fact that as the marchers and dancers reached the reviewing stands where Communist Party bosses traditionally watched the festivities, they found the stands empty. Some members of the “classless” Soviet society had been given enough information to know to evacuate the republic’s capital. There was also a May Day bicycle race. Exercise and deep breathing — all the better to inhale radiation. Given the lack of concern Gorbachev’s government showed for the population’s unnecessary exposure to the deadly Chornobyl radiation, the ordinary citizens of Ukraine might as well have been the “kulaks” Stalin sought to “liquidate as a class” in his intentional and forced famine of 1932–33. Their safety and health meant nothing. From Stalin to touted glasnost, what had changed? At the same time, Gorbachev’s government began to block Western-news-media attempts to report on Chornobyl. American television companies were told technical problems were keeping photos from reaching communications satellites. This followed some Western news interviews with tourists in Moscow who had arrived from Kyiv and strongly disputed the Soviet casualty count and expressed great anger because Soviet authorities lacked the human decency to tell either them or the citizens of Ukraine what was happening. The brazenness of the cover-up extended even to a Soviet embassy official, Vitalii Churkin, appearing in Washington at a briefing of a subcommittee of the House Committee on Energy and Commerce. For almost two hours Churkin talked in circles. Pressed by direct questions to explain why the Kremlin had not warned other countries, he replied, “It is my opinion that there was no real harm to other countries.” This, the Soviet view, was being expressed on Capitol Hill on Thursday, May 1, as the parades were under way and a spy satellite was transmitting pictures of the fires still burning, while Ukrainians in Kyiv and around Chornobyl were still in the dark as to the poisons they were breathing. Even as the Voice of America and Radio Liberty increased the number of their broadcasts in order to warn anyone who could pick up a signal, the Soviets had not yet issued the most basic of emergency announcements, no food or water or safety precautions. It was not until May 6 that announcements ran on Kyiv local radio and television warning the population to close their windows, to wash and peel vegetables, and to keep children indoors (directives similar to ones foreign governments hundreds of miles away had given their citizens over a week earlier). These tragically delayed announcements immediately led to thousands flooding train stations and all potential routes out of Kyiv; the Soviet government quickly established travel controls. Only a certain number from each family could travel — families had to prioritize who among them could try to escape and seek help. Armed police blocked the main roads leading out of Kyiv. The authorities’ tight control of travel out of the area continued for weeks. On May 7, the New York Times reported that large numbers of uniformed police and plainclothes KGB agents were at Moscow’s Kievsky train station when trains arrived from Kyiv, mostly with children and elderly women. The officials were doing everything they could to prevent Western journalists from interviewing the arrivals. They ordered reporters to leave the station and turned away a television crew while whisking away the Ukrainian arrivals. But it was obvious that the West was aware of the panic that had set in, so the Kremlin began to release more doctored information. The bland reports that everything was under control morphed into graphic descriptions of the Motherland’s Finest fighting 100-foot high flames after the initial explosion. Again, Yurii Bohatiuk’s article translates the Soviet press describing the firemen’s efforts: “Their boots stuck in bitumen that melted because of high temperature, soot and smoke made it difficult to breathe, but the brave bold men kept on fighting the blaze courageously.” Still there was no mention of casualties or the risk to people still being exposed to large doses of radiation. As the days wore on and pressure grew for the Kremlin to explain what had happened and was happening, the Soviets stumbled over their lies and their profound incompetence amid the growing exposure of their near total disregard for the people. The situation is under control, everything is fine. The people in close proximity to the plant were evacuated immediately. The evacuation of Prypiat was not completed until May 6. A total of 49,000 people were evacuated. No, 84,000 have been evacuated. Radiation readings show that the area 35 miles outside Chornobyl and in Kyiv is safe. It looks like much of the area around Chornobyl will be unlivable for at least 100 years. If it weren’t so deadly serious, this zig-zagging might have been comical. On May 9, an early summer holiday was announced for Kyiv’s quarter of a million school children, although at the same time authorities were saying radiation levels were normal. Enjoy the holidays — inside. Mikhail Gorbachev, whom the Western media helped so much to acquire a “progressive” image, took 18 days to make up his mind what to say to the anxious populations of Eastern Europe and the citizens of the countries he was supposedly leading. On May 16, after having entertained the president of Angola and after visiting various factories in Russia and taking part in those glorious May Day celebration as if nothing had happened, the chairman of the Supreme Soviet was able to cross his fingers and say publicly, “As soon as we received reliable initial information, it was made available to the Soviet people and sent through diplomatic channels to the governments of foreign countries.” Progressive? More like a prototypical Stalinist; not one word of public reassurance from him for the population of the stricken area nor a single word of encouragement to the people dealing with the disaster. And, of course, not one word of truth. The strength of any system of governance can be measured at least in part by how well it reacts to the unexpected. Soviet Communism failed. Yet the Kremlin’s reaction and Gorbachev’s own behavior in the spring of 1986 seems to have been forgotten or dismissed as history marches on. This horrid approach of disinformation and callousness continued for months. Genuine assistance from the community of nations really never got to Ukraine and Belarus until all that was possible was too-long-delayed remedial efforts trying to comfort the afflicted. Most of the international involvement focused on the “children of Chornobyl” and scientific inquiry and assessment. Much has been written about the way the Soviet Union handled its eventual studies, which were compromised from the outset by the Kremlin’s delayed reactions. I remember meeting with scientists in Ukraine in March 1990 and having one explain how some time after the explosion, scientists with certain specialties were directed to undertake tests and analysis, but to keep their work to themselves, not to communicate with others undertaking different tests. He explained that this was the way the Soviet Union did things: compartmentalize research and keep the individual tests and conclusions from being shared among experts; turn over the individual and discrete work products to authorities, and they would decide what would be shared or made public, essentially without the benefit of vigorous interaction among the experts. Once the people in Ukraine and Belarus were told the basics of what happened, their attention turned immediately to their children. It has already been noted that, due to transport controls, families had to choose who would get out of the area; it was mostly children who were put on the planes, trains, and buses. Children already showing symptoms were moved into local hospitals. Once they were allowed in, foreign relief efforts focused on the children, getting aid to many in Ukraine and getting others out to Western countries where they could be given the best possible treatment. In addition to assistance from foreign governments, there were numerous private organizations — Children of Chornobyl, Chornobyl Children Charity, Chornobyl Children Project, etc. — operating from the West. These efforts, often involving concerned and dedicated members of the diaspora of Ukraine and Belarus, were — and are — wonderful examples of charitable and voluntary efforts arising from within free societies. They also were so successful that they masked the totally inadequate response and capabilities of the Soviet system. As for the human “cost” of the disaster, we may never know. There have been many studies, each with different methods and different results. 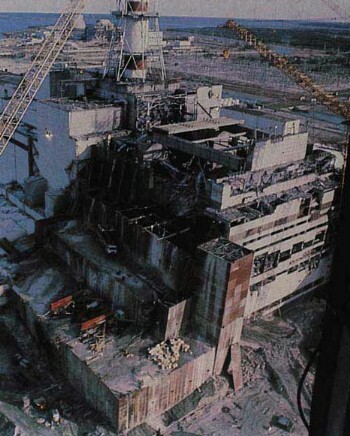 To take one example, the Chornobyl Forum, which included numerous international agencies, issued a report in 2005 that estimated the total number of deaths due to the disaster at around 4,000 (of which 2,200 were expected from among the 200,000 people who in one way or another responded to the explosion or tried to deal with the clean-up). Later, the 4,000 estimate was “updated” to 9,000 excess cancer deaths. Others criticized this report in part because its data — 200,000 people involved in the cleanup, and 400,000 most directly affected by the released radiation — did not even consider the fact that over a half of the radiation from Chornobyl (specifically iodine-131, which increases the risk of thyroid cancer) was deposited outside the former Soviet Union. Possible increases in thyroid cancer have been reported in countries like the Czech Republic and England. Some reports project 30,000 to 60,000 excess cancer deaths, with predicted excess cases of thyroid cancer ranging between 18,000 and 66,000 in Belarus alone, depending on the risk-projection model. Whatever the study and whatever the eventual outcome, the fact is that the Kremlin and the Soviet system made Chornobyl many times worse than necessary. Those who play down the Soviet Union’s response must not be allowed to hide the facts. Even today Mikhail Gorbachev expects people to believe the Scandinavians learned about Chornobyl before the Kremlin did with its extensive KGB and apparatchik networks. And he claims he started getting information out to the general population of the Soviet Union on April 28 when, in fact, all Vremya reported was that there had been an accident and “measures have been undertaken to eliminate the consequences of the accident.” Gorbachev goes so far these days as to blame “the closed nature and secrecy of the nuclear power industry.” Whether it is Gorbachev trying to rewrite history, or those who use Chornobyl to oppose nuclear energy and/or the nuclear-power industry, we must not allow them to bury the truth about the system of governance that existed in the Soviet Union. To learn the lessons of the past, we must face the truth. Since the crisis at the Fukushima power plant, criticisms have been leveled at the Tokyo Electric Power Company (TEPCO) and at the Japanese government. But the entire world has been able to follow the ongoing story, international aid has been welcomed and encouraged, and there has been focus on the safety of the population. If a comparison must be drawn between Chornobyl and Fukushima, let it be between a government that showed concern for its people and one that failed to do so. — Robert McConnell is co-founder of the U.S.-Ukraine Foundation. Throughout this article the Ukrainian spelling of the subject power plant and Ukraine’s capital city are used. (1) Chernobyl did increase the risk of Thyoid cancer, which is treatable, in the effected zone. It has been observed, with roughly 6,000 cases. Over 100 people died directly during the accident and fighting the fires. Over 2000 people died directly from radiation exposure in the weeks following the accident. Given that this was an accute exposure, few people who survived the accident have any increased cancer risk (except leukemia, and it is a very small number of people.) The environmental exposure to iodine leads to Thyroid cancer, and has not resulted in any deaths. Technically speaking, cesium may also lead to some excess cancer risks, these are significantly unlikely, and have been played up by the local activists for anti-nuclear efforts in Germany. Looks like a reason to get up before the sun, besides running my kids out of bed, is to look East, where the planets will be aligned to the naked eye. Now, at this time of year, it turns out Mars isn’t very visible, and Mercury isn’t at its best. Still, with a pair of binoculars you ought to pick out all four, brighter than any stars which can show up. Now, this isn’t the “near mystical” alignment of planets which normally causes a big thrill in the alternative media. To see planets at dawn, they need to be ahead of us in their orbits. Jupiter this close to the sun? It is nearly on the opposite side of the sun from us, about as far away as it can get. Venus may be around 90 degrees ahead of us, and Mars around 120. A dark Mercury? This means that it is as close to us as it can get, barely out of the Sun. So, the alignment is only that which appears to the eye, not the scientist. But still, a good effect. I will call it a good omen and then simply assume that I can apply it (as a mystic prediction) to the next good thing to occur. Works for the ancients. Man, I am practically a prophet. Eh? My tarot prediction is that you should play the nine of cups on the ten of swords… maybe I shouldn’t quit my day job. I have been here. When you are working you don’t have time to really appreciate the natural beauty of Tenerife. I hope to go back as a tourist someday. Lovely place. As a side note, sometimes little things get in the way between big ideas and working equipment. Lasers have a LONG history of little problems making big disasters. I, fortunately, haven’t been a part of laser history, but rail guns and thermal chemical accelerators are a different story. LOTS of different stories. Not any I feel like sharing today. I will share the movie Megamind! Bloody Hilarious. Only a few aggravating areas, and I won’t bother you with them. You probably don’t have my mindset. (umm, yeah, I get crazypants about various storytelling elements, and thats probably the nicest way to put it. Ya know, they have taked about cliche’ from the beginning, they need to look at points when normal people do impossible things and … ok, crazypants it’s a cartoon.) Watch the movie, it is a 1-beer movie for adults, significantly less for children. There are a lot of funny parts, most of the parts are funny, they don’t ham the potty humor or the social akward humor. Those parts move fast and let you enjoy a fun and funny story. I most love the way he misspronounces Metro City.. accent on the wrong sy LA ble. The beer/vodka shot system for rating movies was developed over many years by my good friend Runolf. 1 is pretty damn good, but you need to relax and forget your various crazy elements. 2 requires you to forget all politics, and 3 requires you to forget basic physics, history, and law. If you have 4 during the movie, you didn’t really want to remember your name or the plot, these were hours you couldn’t get back, and had no desire to remember. I think that perspective is good here. No, not the lovely graph below, which shows how current trends relate to actual history, not the made up history pablum that the media feeds to you. Perspective: People make money off the government. Usually it is by convincing the government that there is a problem that needs solving, and action that needs to be taken. Then they tell the gov a pricetag and our representatives vote on it. I do that myself. I have worked for NASA and DoD on various projects which basically were based on convincing the gov that they needed what I sold. The Global Warming Alarmists have made more than a billion dollars off our government. Al Gore bilks foreign governments as well, but has managed to accumulate 380 million dollars. His backers invested heavily in windmills, solar cells, and more odd products, and are walking away with millions more in company funds. So when they walk away from Global Warming and say “Hey, we meant well.” Understand that they are walking away with pockets full of money. They are walking away with your money.They had the same data I had, and with the exception of Al Gore, they aren’t pathetically stupid. Many of them have legitimate PhDs in their fields, environmental fields. They know what they said, and they know why they said it. Their only hope is that they can hold off on “Proof” for 20 or 30 years and retire on their winnings. This isn’t the first time, we have been duped about DDT, Freon, Immunizations, and many other “Hazardous” products. Some would say the same about the military, always buying the newest, hottest, tech. When frankly a Kentucky Rifle would do much the same mission (Huge exaggeration of course). Honestly, science can’t tell you your morality. If you want a jet fighter that is 20% better than the last one, is it worth 1 Trillion? Is using less gasoline worth 1 Trillion? Or using fetal tissue for experimentation (it was about money and morality)? Which is more important? This is politics, and the reason that voting is important. Perspective: Don’t let people just apologize and go about their business. Hold their feet to the fire. People spent our money, they are our employees. FIRE them, Hold Them Accountable. Hold their Political Party accountable. Make them plan longer than 1 year into the future. Thats my view of perspective, hold me to it. In Germany, some pigs ate some cesium which had come from Chernobyl. Apparently, not in any way dangerous to the pigs. Secondly, some hunters killed some pigs. The authorities, who admit the levels aren’t dangerous, have decided that some of the pigs reach a level at which the meat must be destroyed, not eaten. The story should be, “German authorities, to prove they are bought and paid for by environment groups, decided to punish hunters with a rule that makes no sense.” They then follow this with some statements which show lack of knowledge on what 1/2 life means, among other things. Umm, what do you mean by that statement? The cesium will decrease more than 10% over the next 5 years. It is already at safe levels. Over 30 years, the problem will be 1/2 as much as today. Sounds like a long time, but really, this month we are 25 years since the accident. No real huge crisis remains. The criminal act is the authorities deciding an arbitrarily small number for their radiation allowance. Ahh, and they have been pinged for it. Turns out that the EU standard is 12,500 Beq/kg. 20 times as high. The magazine “New Scientist” thought that the levels were crazy back in 1987. It effectively excluded many mushrooms and nuts grown outside of Germany. It was deemed anti-trade and removed…but only from external trade. Apparently they (who is they? some damn bureaucrat?) decided to use the rule internally. Why? I expect it is simply to raise awareness about how terrible Chernobyl was, at a time when Germany is thinking of restarting its reactors.